Four lattice work fronted glass doors span the facade of our majestic media credenza. Finished in a deep DeVille Textured Metallic and decked out in antiqued scroll hardware, an ideal addition to your foyer for lamps and pictures, or in your media room for all your entertainment needs. 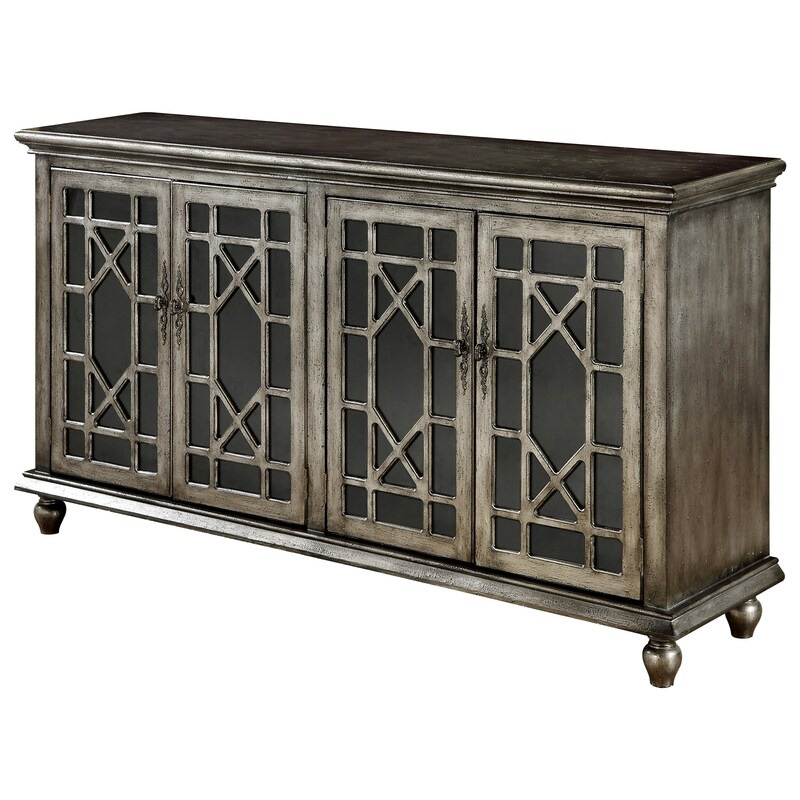 The Coast to Coast Accents Four Door Media Credenza by Coast to Coast Imports at Miskelly Furniture in the Jackson, Pearl, Madison, Ridgeland, Flowood Mississippi area. Product availability may vary. Contact us for the most current availability on this product.